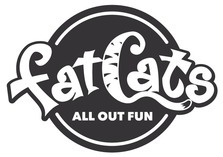 Fat Cats Bowling (Provo, Salt Lake, and Ogden) Not just Bowling, Disco Bowl, Bumper Bowl—however you like it! They also have an arcade area, Challenge your kids or spouse to a basketball toss. Enjoy the pizza factory in Orem and SLC Tailgaters Grill up in Ogden Buy One Game Get One FREE. And in Ogden Buy One Bowling Game, Mini Golf, or Bumper Cars and Get One FREE Also offering 10% off a birthday party package—must have valid kids club card.